We are a professional manufacturer of photoluminescent pigment and related products in china. Our main products is photoluminescent pigment which is a non-radioactive, non-toxic and Green-Protection products with a wide application. 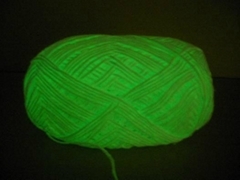 It can glow the long time and high luminous in the dark after 10-15Mins under the day light or other lamplights. The products can be added into such as ink, paint, plastics, glass and other transparent agents to activate the emitting functions of the agents. With the advanced research production and rigorous control of quality, we can supply the pigments with high quality and competitive prices. xinjie street Yixing City Jiangsu Pro ,China.